The 9th Competitive edition of CMS VATAVARAN Award Jury Meet was held from August 28-30, 2017, 2017 at Residency Resorts Private Limited, New Delhi. An illustrious group of 12 personalities from cinema, film festivals, media, environment and wildlife sector was part of this award jury and selected awardees for the prestigious CMS VATAVARAN awards from the 113 nominated environment and wildlife films. The Jury was chaired by eminent film maker Mr. Govind Nilhani. Mr Nihalani is an Indian film director, cinematographer, screenwriter and producer, known for his works in Hindi cinema. He has been the recipient of six National Film Awards (India), and five Bollywood Filmfare Awards. He started out as a cinematographer, graduating in cinematography from the Shree Jaya Chamrajendra polytechnic in Bangalore in 1962. He was an Assistant Cinematographer to the legendary V.K.Murthy.He was associated with all the earlier films of Shyam Benegal and with the cinematography of Richard Attenborough’s Oscar-winning epic Gandhi. 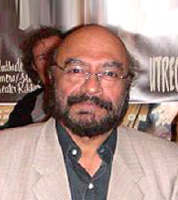 Nihalani and Benegal are well known for their socially relevant films. His first directorial venture was Aakrosh starring Om Puri, Naseeruddin Shah, the late Smita Patil and the late Amrish Puri. This was based on a real story which was converted into a film script by the eminent Marathi playwright Vijay Tendulkar and it made a huge impact on audiences all over India. It shared the Golden Peacock for best film at the International Film Festival of India held in New Delhi in 1981. His film Ardh Satya, based on a story by S.D. Panwalkar, is still remembered by film lovers. It changed forever the way in which Indian cinema portrayed the police and it exposed in stark detail the police-politician-criminal nexus. Come 1997, and he adapted Bengali novelist, Mahasweta Devi’s acclaimed novel by the same name to Hazaar Chaurasi Ki Maa.Over the years he has directed many films which are known for the manner in which they grab the viewer’s attention, and his most recent work includes the Marathi Film “Ti Ani Itar’ which is to be released in 2017. She has studied art and is now a practicing artist. She recently participated as a collateral in the Kochi Muziris Biennale. She is the convenor of Vasundhara film festival. 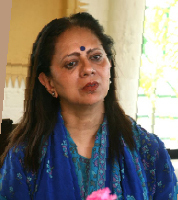 Which has been conducting the festival in Pune for 10 years and more and now also conducts it in 20 cities across Maharashtra and around.She is a patron of INTACH Pune after being its convenor for more than a decade. She is interested in Craft revival and helped the craft cluster in Pune of ‘Tambats’ launch a brand called “Coppre” through a social enterprise model. Arti is also the Executive Member of the `Kirloskar Foundation’ that has been conducting the ‘Clean and Beautiful School’ competition in and around Pune for the last 40 years. The Foundation has launched The Water Sanitation and Hygiene (WASH) Program in select schools in Pune and its vicinity. She is also the trustee of IFA- A Indian foundation of Arts which supports research and work on forgotten arts and new ways of looking at our visual culture.Arti is interested in Art, Photography, Theatre, Dance, Spirituality, Environment and Wildlife. In her spare time, she enjoys painting, reading, walking, yoga and traveling. Aruna Vasudev with a PhD in cinema from the University of Paris, Aruna Vasudev has devoted a major part of her life to cinema. She is the Founder-President of NETPAC (the international Network for the Promotion of Asian Cinema), Founder-Director of Cinefan, the Festival of Asian Cinema (which later merged with Osians to become Osian’s Cinefan), Founder-Editor of Cinemaya, the Asian Film Quarterly, co-Founder and Director of the Inner Path, the annual festival of Buddhist Art, Film & Philosophy. 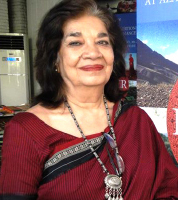 After studying cinema at the Film School in Paris, she directed documentary and short films, authored two books on Indian cinema and edited several others on film and television in Asia. Her work has been honoured with national and international awards, such as the French Chevalier des Arts et des Lettres (2002) and the Italian Star of Solidarity (2004). In 1997 she received the Korea Prize from the Pusan Film Festival, in 2006 the Promotion of Asian Cinema Award from the Cinemanila Film Festival in the Philippines, in 2015 she received Lifetime Achievement awards at the Ahvaz Film Festival in Iran, Hawaii, Colombo, and Busan International Films Festivals; and various awards in India. Shri R.M. Mishra is an Administrator by profession. Currently he is the Development Commissioner of Meghalaya State in the North East Region of India. He also concurrently functions as the Chief Executive Officer of a Non-profit government company mandated to promote conservation and development of the natural eco systems, Climate Change Management, Communications and Outreach, Community Empowerment, Poverty alleviation, Re-engineering of Public Delivery System etc. 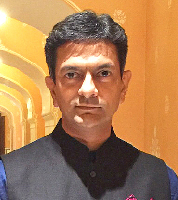 He is a member of the Indian Administrative Service and has the experience of managing public affairs across different sectors such as General Administration, Police, Justice, Agriculture and Rural development, Water Resource, Forestry and Environment, Commerce &Trade, Industrial and infrastructure development, banking and public finance etc. Ms. Dhir is a communication’s specialist and has been driving the PR and Corporate Communications function at Sony Pictures Networks India (SPN) since 2015. In her current role at SPN, she is focused on strengthening the network’s reputation amongst its multiple stakeholders. Humsa brings with her a robust experience of over 20 years across different aspects of communications; including Advertising, Public Relations, Organizational trainings, Corporate Communications and Public Affairs, having worked in the India, South Asia and Middle East markets. Her forte lies in setting up and establishing the corporate communications function, which she has now done successfully for over 20 years. Her roles in various organizations have led her to interplay with investor relations, brand and marketing communications, media and industry associations, sustainability and CSR besides employee engagement.Prior to joining SPN, Humsa has worked across industries such as automobiles, wind energy, paints & coatings and has been associated with companies such as AkzoNobel, Suzlon, Eicher group, RK Swamy BBDO and JWT, amongst others. She has a BSc Honors degree in Biochemistry, with a specialization in immunology and molecular Biology and a Master’s degree in Communications, specializing in media management and film studies. Humsa enjoys architectural photography and travelling. 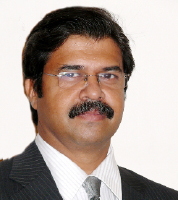 Dr Deepak Apte holds a Doctorate in Zoology, with specialisation in Marine Ecology. He received post graduation degrees in the field of Zoology from University of Mumbai, Integrated Coastal Zone Management from AIT, Bangkok and Marine Policy from Duke University, USA. He is a recipient of the prestigious Whitley Award and the Whitley Continuation Award for his work on Giant Clams. He has also been awarded a global fellowship in Marine Conservation by the Duke University, USA. Deepak is a fellow of LEAD-India and International Visitors’ Programme (USA). 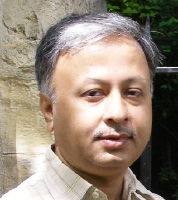 A well-received author, Deepak has to his credit five books and fifty scientific papers in prestigious journals like Nature, Evolution, Jour of Natural History, ZooKeys, Systematics and Biodiversity, JMBA (UK) and JBNHS. He is an accomplished underwater photographer with over 5000 hours of diving experience. Deepak is a member of several committees of the Government of India such as member of NBWL, Chairman of Environmental Appraisal Committee on CRZ and Infrastructure of MoEFCC and Member of Bird Control Committee of Ministry of Civil Aviation. He was also member of Forest Advisory Committee. He is member state wildlife boards of Maharashtra, Madhya Pradesh, Andaman and Nicobar. Dr. Anish Andheria is the President of the Wildlife Conservation Trust (WCT), a not-for-profit set up to preserve, protect and conserve wildlife. WCT works across 23 Indian states and catalyses path-breaking conservation action. He is a member of both Maharashtra and Madhya Pradesh State Boards of Wildlife. He is a member of the First State Expert Appraisal Committee, Maharashtra and the Steering Committee of Madhya Pradesh Tiger Conservation Foundation. He has been awarded the prestigious Carl Zeiss Conservation Award 2008 and is a Fellow of LEAD. After a Ph.D. from Institute of Chemical Technology, Mumbai, he went on to pursue Masters in Wildlife Biology and Conservation from the NCBS, Bengaluru. He is a large carnivore specialist with immense knowledge on predator-prey relationshipsA wildlife photographer of repute, his collection of over 300,000 images serves as an archival record of wildernesses of India. He is a Trustee of Conservation Wildlands Trust and The Climate Reality Project India. 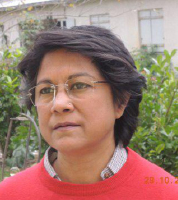 Karuna Singh leads the Indian and South Asian initiatives of Earth Day Network (EDN). 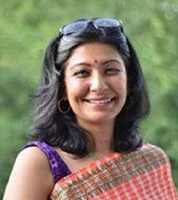 The organization engages with more than 50,000 partners in 196 countries to broaden the environmental movement worldwide.In 2010, Ms Singh opened the EDN office in India. She oversees programs that use innovative methods to raise environmental awareness and touch around 35 million annually. These include a film making competition for students titled ‘Earth Reel’.Karuna is a board member of the Global Environment Facility, UNDP and the Government of India Ministry of Environment Forest and Climate Change’s Small Grant Program. The Asia Pacific Network for Global Change Research, Japan has invited her to provide expert advice for South Asia. Dr. Suman Sahai, who has had a distinguished scientific career in genetics, is a recipient of the Padma Shri , the Borlaug Award, Outstanding Woman Achiever awards, the Birbal Sahni Gold Medal and the Order of the Golden Ark of the Netherlands. Dr. Sahai is founder Chairperson of the Gene Campaign, a leading research and advocacy organization, working on food, nutrition and livelihoods. She has published extensively on science and policy issues and is a member of several national policy forums.Dr Sahai chaired the Planning Commission Task Force on ‘Agro biodiversity and Genetically Engineered Organisms’, for the XIth Plan. She has been a member of the Steering Committee of the National Biodiversity Board , the Expert Committee on Biotechnology Policy and the Bioethics Committee of the Indian Council of Medical Research. She has served on the Research Advisory Committees of national scientific institutions. Utpal Borpujari is a National Film Award-winning film critic and journalist who written on politics, society, government, culture, art, literature, and, of course, cinema, while working for leading media organisations like PTI and Deccan Herald during his two-decade-long career. In 2011, he switched to filmmaking and since then has made several critically-acclaimed documentaries, such as “Mayong:Myth/Reality”, “Soccer Queens of Rani”, “For a Durbar of the People”, “Songs of the Blue Hills” and “Memories of a Forgotten War”. Both “Songs of the Blue Hills” and “Memories of a Forgotten War” were selected to the Indian Panorama in addition to getting screened in a number of international film festivals. An M.Tech in Applied Geology from IIT-Roorkee, Borpujari has just completed his first feature film titled “Ishu”, which is a children’s feature in Assamese produced by Children’s Film Society, India (CFSI). He has served on juries of several international and national film festivals and also curated films from North East India at festivals like IFFI and Fragrances of the North East, organised by Directorate of Film Festivals. 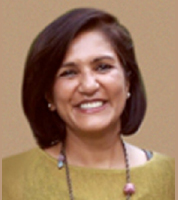 Joy is a founding member of and Senior Fellow with Society for Promoting Participative Ecosystem Management (SOPPECOM), Pune – a research-practice-policy oriented civil society organisation working on water and related issues (www.soppecom.org). He has been an activist-researcher for more than 30 years and has worked as a grassroots activist with Mukti Sangharsh Movement in the rural areas of Maharashtra. 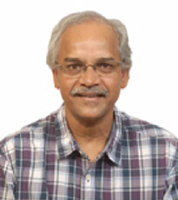 He has also worked with Bharat Gyan Vigyan Samithi (BGVS) – a network of various people’s science movements and was a Visiting Fellow with the Centre for Interdisciplinary Studies in Environment and Development (CISED), Bangalore. He was a Fulbright Fellow with the University of California at Berkeley. 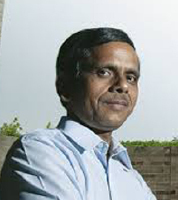 He coordinates the national level network on water conflicts, Forum for Policy Dialogue on Water Conflicts in India (www.waterconflictforum.org). He has published extensively on water-environment-development issues and some of his co-authored/co-edited books include: 1) Alternative Futures: India Unshackled (forthcoming); 2) Water Conflicts in Northeast India; 3) Water Conflicts in India: A Million Revolts in the Making, 4) Sustainable Technology: Making Sardar Sarovar Project Viable; 5) Banking on Biomass: A New Strategy for Sustainable Prosperity Based on Renewable Energy and Dispersed Industrialisation; 6) Watershed Based Development: A Source Book; 7) Community-based Natural Resource Management: Issues and Cases from South Asia. He is the recipient of the TN Khoshoo Memorial Award for 2016. Monica is a curator, distributor and creative producer working in this genre since the last 12 years. Deeply committed to expanding and enriching children’s content in the region, in 2012 she founded Southasian Children’s Cinema Forum – a cross border network with partners from 7 countries. 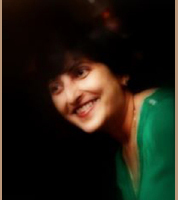 In her capacity as Creative Head of Children’s Film Society India (2010-12), Creative Director of Lennep Media (2012-14) and Going to School (2005-09), she has helmed the development and production of various award winning projects including Gattu, The World of Goopi and Bagha and UNICEF supported Girl Stars. In May 2016, Tata Sky launched India’s only dedicated world cinema channel for children – curated exclusively by her. She has curated and organized international children’s film festivals/ sections including International Children’s Film Festival of India, Jio MAMI Mumbai Film Festival, Dharamshala International Film Festival and Smile International Film Festival for Children and Youth. Monica has also been involved with the Indo-Pak peace movement with a special focus on children and youth. She is also the founder of Himmat, a woman’s collective formed by those widowed in the Gujarat carnage of 2002.